Are you new to running? Then you’ve come to the right place—this guide will teach you everything you need to know about becoming a runner, from choosing the right accessories to stretching properly before and after your runs. Running is an inexpensive sport—all you need is a pair of sneakers and comfortable clothes. If you’ll be running in the heat, on trails or for long distances, however, you may want to buy a few accessories that maximize your performance and keep you safe from injury. There are a seemingly unlimited amount of new, stylish running shoes to choose from. While your running shoes can and should be a reflection of your personal style, your favorite looking shoe may not be the best option for your foot and choosing the right shoe is critical to reducing injuries and pain. - Do you need arch support? 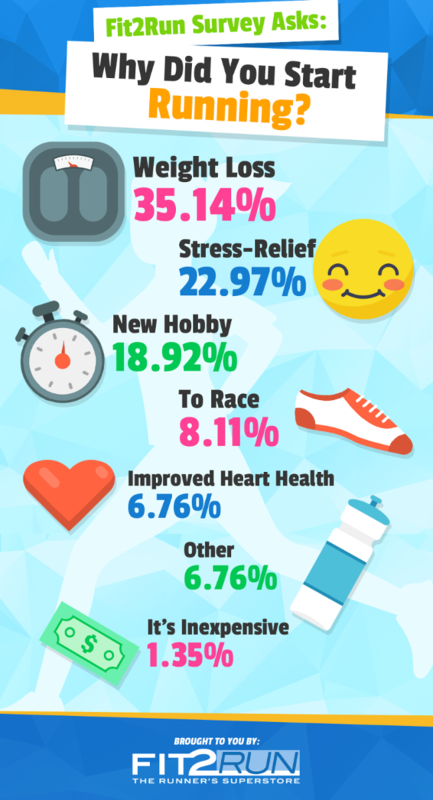 - How often do you plan to run? - Where do you intend to run? On the road, a trail or a running track? - What kind of running will you be doing? Long distance, recreational or competitive? Don’t forget about shoe maintenance, which is on-going. 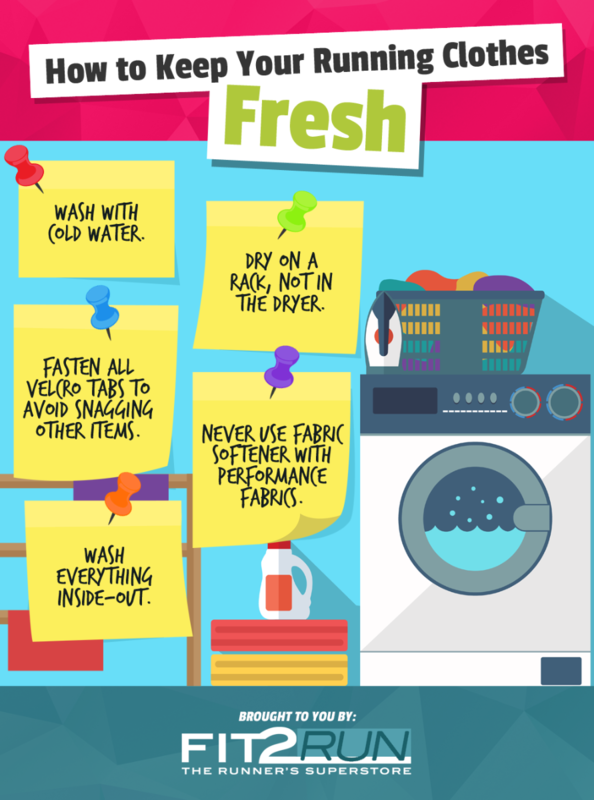 Do you know how often to replace your shoes? Many people don’t—in fact, we found that 46 percent of people polled only replace them “when they wear out,” while 31 percent replace them every 6 months, which is what we recommend for high-volume runners (at least three, 5-miles runs each week). Ultimately, shoes should be replaced every 300 to 500 miles, which is every 5 to 6 months at that volume. While you can run in any athletic clothing, most runners find it comfortable to wear running-specific items that wick away sweat, leave breathing room for your skin, and optimize your natural stride. These items are in the category of performance or athletic wear. - Look for “technical fabric,” which is lightweight and more often than not, moisture-wicking. Materials that fall under this category include nylon, polyester and lycra. Avoid any cotton or cotton blends. - Find clothing pieces that protect your skin from UV rays—this is especially important in the summer. - Anything made with gore-tex is likely waterproof because this material has a synthetic membrane that prevents water from seeping through. - Nylon will dry faster than other fabrics and is mildew resistant. If you live in a rainy place, it may be smart to invest in nylon pieces. Need to update your wardrobe? Shop Now! Before stepping out for your first run, get a gait analysis. Performed at a sports clinic or running shoe store, a gait analysis is used to determine how your body mechanics affect the way you run. This dictates which style of shoe you’ll need for optimal support and movement. - Wear running clothing; you’ll be walking or running on a treadmill. - Come prepared with questions and information. If you’ve been told you have flat feet before, mention that to the gait analysis attendant. - Plan to take notes so you can remember everything. You may even be able to ask for or buy a copy of the analysis, depending on where you go. If you're not sure about getting a gait analysis, here's why we highly recommend it: education and evaluation are critical for new runners. The best initial evaluation is a gait analysis, which helps you find the best running shoes for your body’s natural rhythm and movement patterns. Without knowing this information, you're at greater risk for injury because the wrong pair of running shoes can amplify biomechanical and functional flaws. To determine your needs, we use Fit2Run’s unique fit process, which couples a video-taped Gait Analysis with our iStep thermal measurement device to assess and determine the best shoe and orthotic for your needs. Instead of looking for a shoe by browsing product reviews and online ads, have your gait analyzed. You’ll feel better in footwear that you love, that's also perfectly suited to your unique needs. Static stretches, like a standing quad stretch or hip-hinge hamstring stretch, are better for your cool-down. They relax your stressed, post-run body and improve flexibility for future runs. The top choice? Other (19%). Thanks to a large market of running apps to choose from, you can find the perfect one for you. 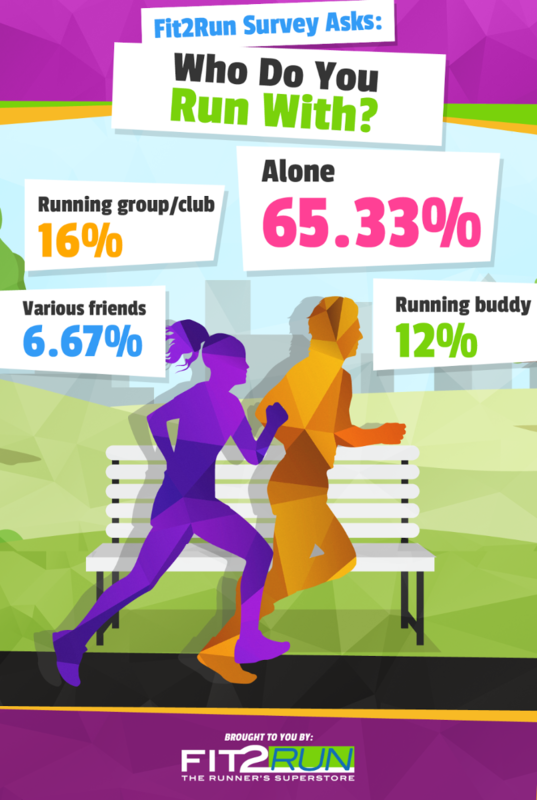 Should You Run Alone or With a Buddy? There are as many good reasons to run alone as there are to running with a buddy or a group of people. Running with a buddy or group is valuable for new runners who need the motivation, advice, and pacing help. When running with someone else, distraction may take away from discomfort or the challenge of the terrain, while providing safety in numbers—this is especially important if you run in remote areas, early in the morning or late at night. Running alone has many benefits as well, allowing you time to clear your mind and decompress without having to chat with someone else. You can also keep your own pace, stop without interrupting someone else’s run, and change plans last-minute if something comes up. The luxuries of running alone may be why the majority of runners polled—65 percent—said they prefer to run alone. If you’re ready for a new running challenge, it may be time to take your hobby to the next level. Jumping from 3-mile runs to 10-mile runs, however, is dangerous and could lead to extreme soreness and pain, not to mention potential injuries. Use the following tips to make sure you progress safely. - Slowly increase your mileage, by just one or two miles each month. The goal is to run consistently each week so your body has a chance to adapt to the mileage before upping it again. - Find a running group, even if you don’t plan to attend a race. This gives you a chance to learn from veteran runners and provides much-needed accountability to stay on track with your running. - Sign up for a race if you know you want to level up, but need structure and motivation to do so. Use the beginner-running plan above to prep for your first 5K or find a local running group to train with. Many small, local stores schedule regular group runs where you can train for longer races and get valuable running advice. Fit2Run, which has a few locations in Orlando, does this for their community. Not sure which distance to aim for? 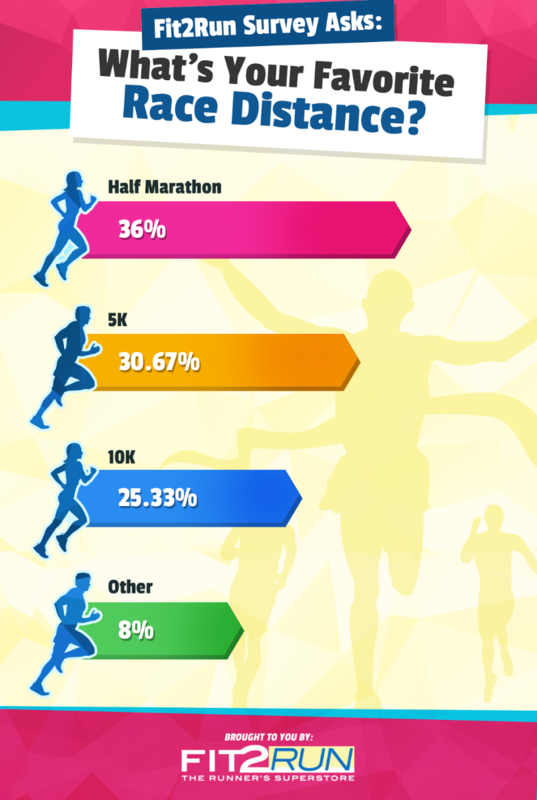 Our recent poll found the half marathon is the favorite race distance, but 5K comes in at a close second. Get ready for your first run with Fit2Run. If you're in Florida, check us out for training runs or browse our selection of running apparel, shoes and accessories online at Fit2Run.com!